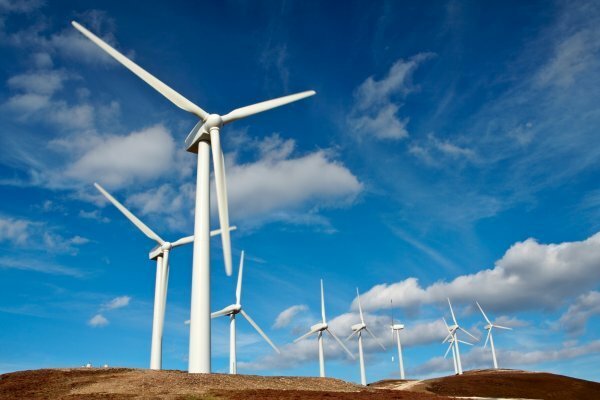 The Renewable Energies sector has very promising prospects due to the exhaustion of natural resources, which also means that it is becoming increasingly important. It is also a reference as regards environmental conservation, which also means that it will have a greater weight in the percentage of types of energies used to generate electricity. The following diagram shows the percentage of each type of energy to generate electricity. There is a percentage of almost 39% of renewable energy as opposed to 61% of non-renewable energy, which gives an idea of how much renewable energies have progressed. 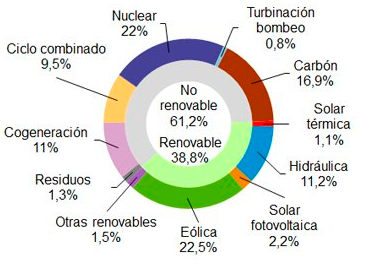 Most of the renewable energy percentage is made up of wind energy (22.5%) and hydraulic energy (11%), which amounts to 33% of the energy generated in Spain in February 2018, bit in the future photovoltaic solar energy will tend to increase to the decrease in costs and the high level of solar resources in Spain. Solar modules currently cost 80% less than 5 years ago, and data show that this energy has increased by 50% with respect to the previous year globally. It can be concluded that the renewable energies industry is on a sustained increase, and it is estimated that by 2022 more than 30% of the power generated globally will be by means of renewable energies. In this scenario, CALDETEC, S.L. has a presence both in the wind sector (providing the tooling for the assembly of concrete keystones for the new windmills, higher and with a concrete inner body) and in the photovoltaic sector (manufacturing the panel fixing structure for various photovoltaic plants). CALDETEC, S.L. expects to grow in this sector, which is becoming increasingly significant in the energy industry and more crucial to protect the environment.